The University of Illinois and Live Nation have teamed up to formulate a unique partnership and create an exclusive opportunity only for alumni and fans of the University of Illinois. As the Official and Exclusive University of Live Nation for the entire concert season, fans who visit First Midwest Bank Amphitheater will notice the brand new and unique Illini Fan Deck located just one hundred feet from the stage. In addition to being so close to the artists, the deck offers amazing panoramic views of the Pavilion, houses its own wait staff for patrons of the deck, and offers a concert experience like never before. Also be on the lookout for Illinois brand ambassadors (current students and recent graduates of the University) who will be canvassing the venue before every show to hand out Illinois promotional items and upgrade a limited number of patrons from the their lawn seats to the Illini Fan Deck, exclusively for members of the Illinois family. For a list of concerts this season, please visit Live Nation's website. 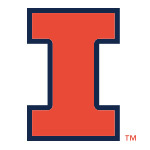 Finally, if you are interested in learning more information on how you can win tickets to the Illini Fan Deck during the concert season, follow the University of Illinois on Facebook and Twitter (@Illinois_Alma #IllinoisRocks). The University will be running special sweepstakes to award the tickets to alumni prior to each and every show, along with other exciting concert sweepstakes and prizes (including behind the scenes tours and an all-expenses-paid trip to see your favorite artist on the road).